The Single’s Day in China is one of the most expected events, by the chineses consumers but also by the big companies. The day D, brands sell out their products, just for the day. 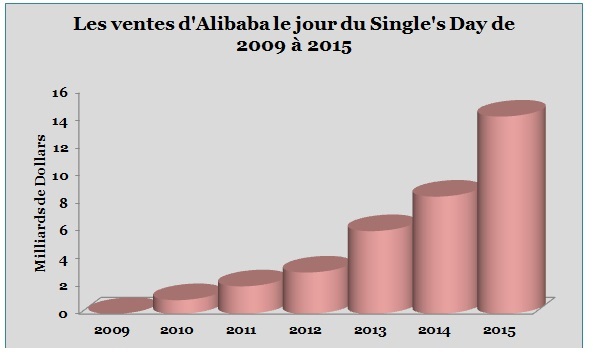 The Single’s Day was originally an event at college which is became in six years a kind of a national event, more as a juicy market in reality, as soon as Alibaba managed it. So, according to what the Chinese company said, 14.3 US billions have been gained in 24 hours. This number is so huge, even without thinking about benefits of the others companies and knowing That Alibaba smashed the precedent record by 60%. 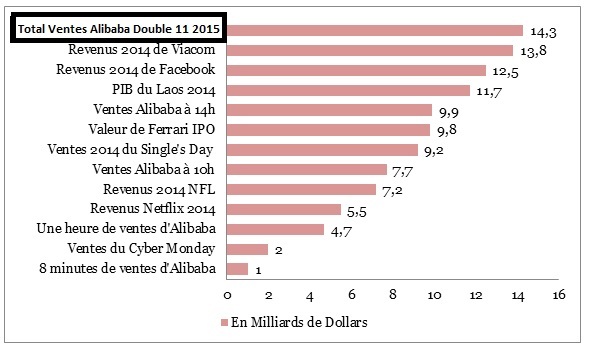 It represents, in a day, the annuals revenues of some firms ou even the GDP of the Laos in 2014. The revenues of the Giant Chinese of e-commerce are, by consequence, smaller than the revenues of Amazon. That is a very important subject for experts and analysts. 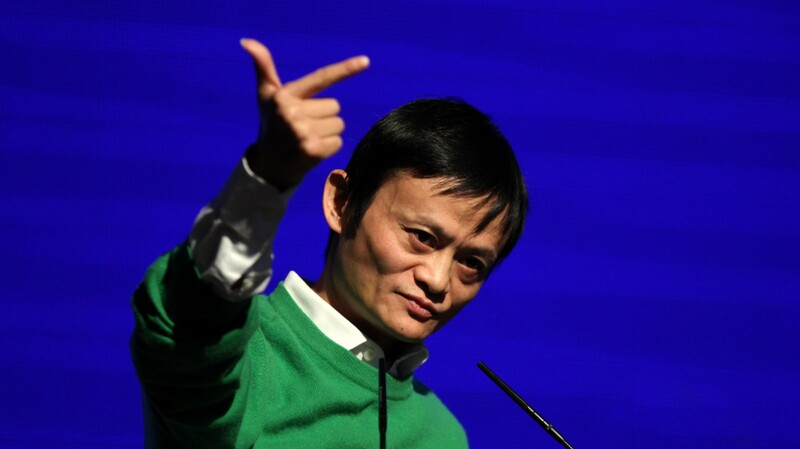 Indeed, a few analysts have queried the total Alibaba Single’s Day sales authenticity. While these interrogations are still there, analysts recognize however the deep impact of e-commerce and the buying-power of the Chinese consumers, which have been showed during the Single’s Day. If the Chinese consumers has spent in 2014 nearly 450 dollars billions in e-commerce, we can expect more than the double in 2008. A big market indeed, because these expenses are about every products on website and e-commerce. The exponential growth of this buying-power of the chineses consumers may be modify the consumption habits of the others consumers in the world. Indeed, these “multi-buying” on Alibaba Website during the Single’s Day has led to a stock rupture for many products, as baby’s ones which are bought massively by chineses consumers, for the Australians consumers.